There are many working parts to a garage door. It may seem like a simple component to your home but when you think of how large it is and the fact that it moves, you quickly realize how complicated it truly is. The garage door is composed of the main part which is the door and panels as well as the motor that will activate the door to open or close it. There are also rollers, hinges, tracks and so much more. Each of these parts of the garage have a purpose and need to be repaired and inspected on a regular basis. One part of the door that is important for several reasons is the reinforcement struts. This is especially true when you have a large or double garage door which is common on most homes. 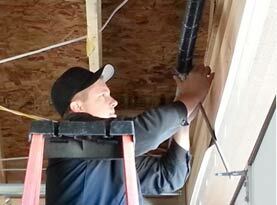 What is a Garage Door Reinforcement Strut? 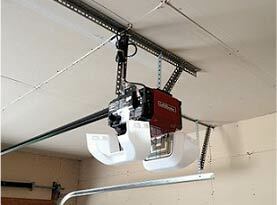 : If you have a garage door in your home that is more than 16 feet in length then you will have a reinforcement strut. This is usually a bar that is made of steel that will span the door. It is in the shape of a U and will be attached to each side of the door with clips or hinges. They bar is noticeable and can protrude a bit as compared to other areas of the door. When you have this reinforcement strut you need to be aware that it is not to be stepped on. It can look like you can use it as a way to reach up higher but you want to stay off of it. 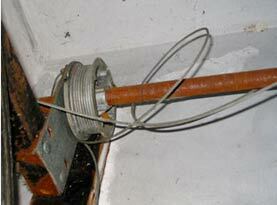 The strut has a very specific type of job and if it is not working right the door can be compromised. Reinforcement Struts Strengthen the Garage Door: One of the reasons that you need to have a reinforcement strut on your garage door is to keep the door rigid. It is a way to add support to the door that needs to be strong and held straight when it is being opened and closed. If your door did not have the strut the middle of the door will start to bow inward when the door is opened. If you want your door to last the longest it can, you need to ensure that your struts are in place and in good shape. Reinforcement Struts Secure & Brace Garage Doors from Hurricanes & Winds: If you are in an area that has some wind and other adverse weather you need to have the reinforcement strut in place. The strut will help to keep the door strong especially when there are high winds flying through your neighborhood. If you want your door protected from strong winds and you do not have reinforcement struts you need to call out a professional that has the ability to install them. You can also have your door replaced with a door that is outfitted with reinforcement struts. 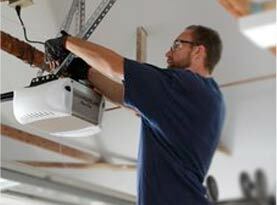 United Garage Doors offers professional residential garage door services. Contact us to schedule an inspection or tune up today!